This entry was posted on October 9, 2018 by Amberley Publishing. I was pleased to be associated with the Historic England series for which I wrote about my home town of Southampton, a city that really doesn’t sell itself enough and visitors are quite often surprised at what there is to see. 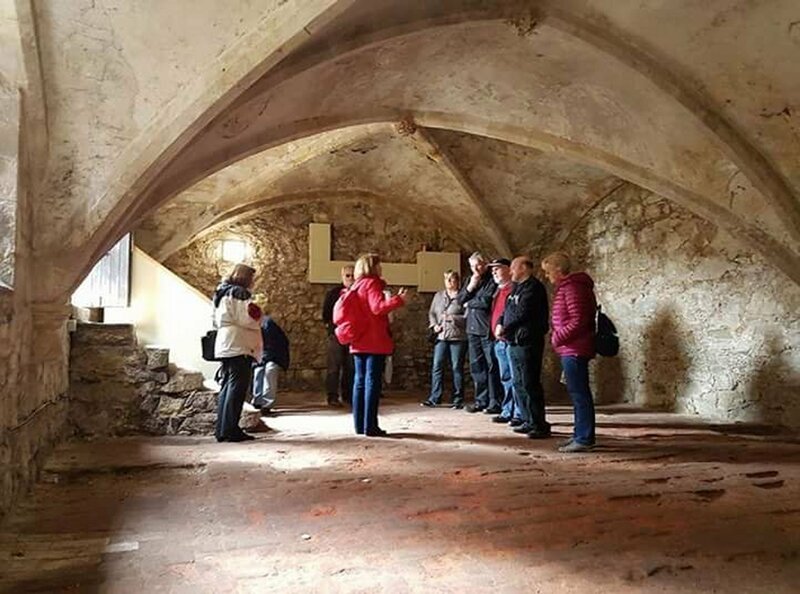 A walk around the ancient walls and quiet streets of the old town can reveal many unexpected and interesting things, and for added interest there are guided walks that take you into hidden medieval vaults and chambers. Although so much was lost in the wartime bombing, there is still much history to be seen from the Norman, Tudor, Georgian, Victorian and Edwardian periods. 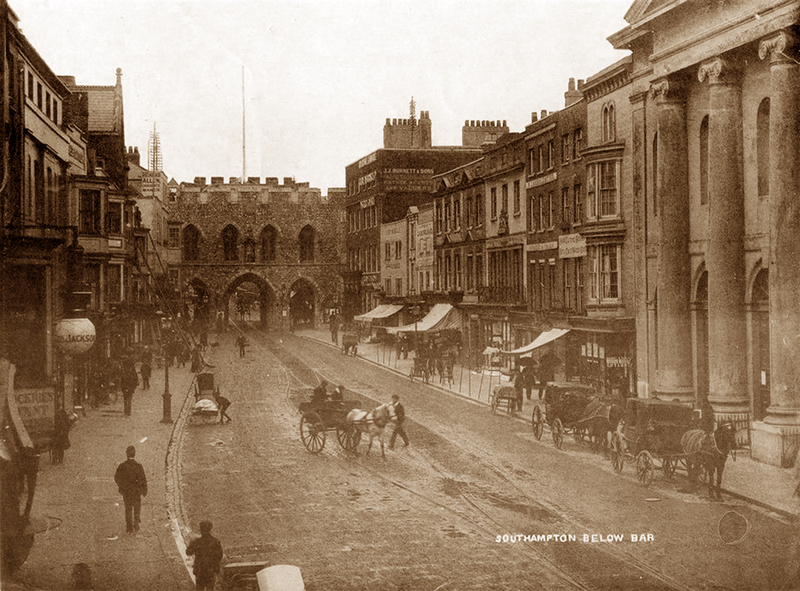 In fact, there is far more that could not be incorporated within the confines of the book but I was delighted to include references to Southampton’s working class districts that played such a huge part in its successful transformation from a small and elegant spa town to the great industrial port it became. The dozens of streets lined with tightly packed terraces, pubs and corner shops were a feature of my childhood and youth, all now gone along with the generations that grew up together, being dispersed to new housing estates on the outskirts of the town. Neighbours and neighbourhoods plucked and uprooted from their tight knit communities with hardly a trace left behind. 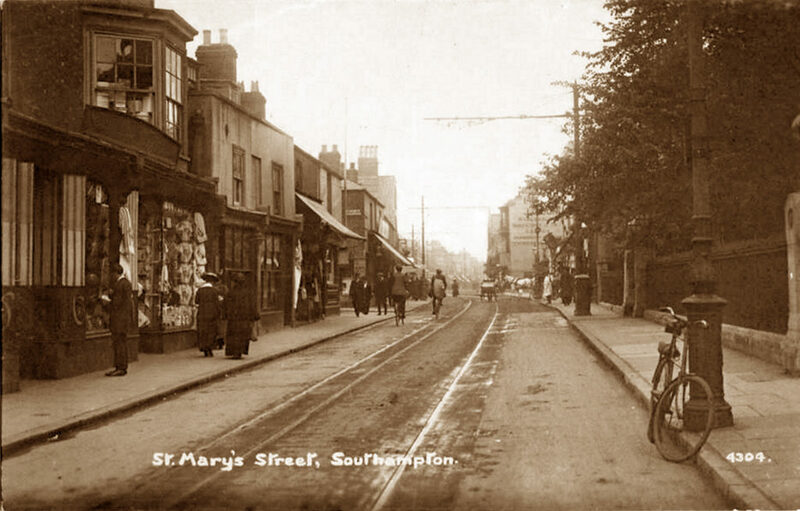 I was also able to mention the bustling thoroughfares of East Street and St Mary Street that were magnets for shoppers and revellers away from the big stores of the High Street. St Mary Street itself could probably merit a book on its own with its Victorian edifices and huge variety of traders from the 1820s until the present day. In the hectic hustle of modern times it is relaxing to stroll though the numerous parks in the heart of the city – on a hot summer’s day in the shade of the trees or in crisp winter sunshine dappled from their bare branches. It is always a delight. The Rivers of Itchen and Test provide year round employment and pleasure but the downside is that the huge port development has limited public access to the waterside. The town’s southern shoreline was lost to the docks of the 1840s and the entire West Bay was engulfed in the 1920s. The ancient west walls, which once looked out to sea, now watch over the mammoth West Quay shopping complex. The gigantic transatlantic liners may have disappeared after being replaced by air travel in the 1960s but the port now plays host to the even larger and more luxurious cruise ships and the world’s biggest container vessels. If you need a break from history, an afternoon by the sea at Mayflower Park will allow you to view these maritime monsters. Despite its huge transformation since the Second World War, Southampton still has lots to offer both locals and visitors alike with its ancient buildings mingling with modern developments. To tread in the footsteps of the Pilgrim Fathers, or to see where Jane Austen spent her time in the town are enjoyable experiences and just two of the many pleasures awaiting. 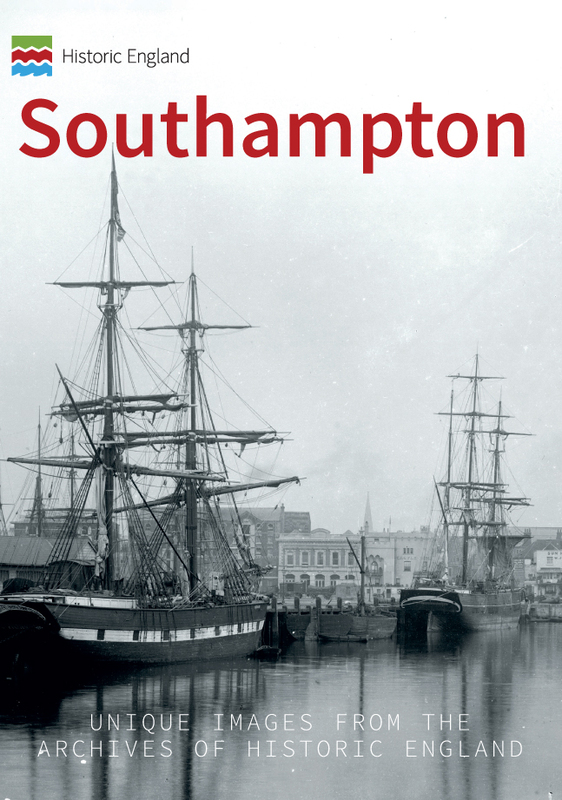 Dave Marden's new book Historic England: Southampton is available for purchase now.